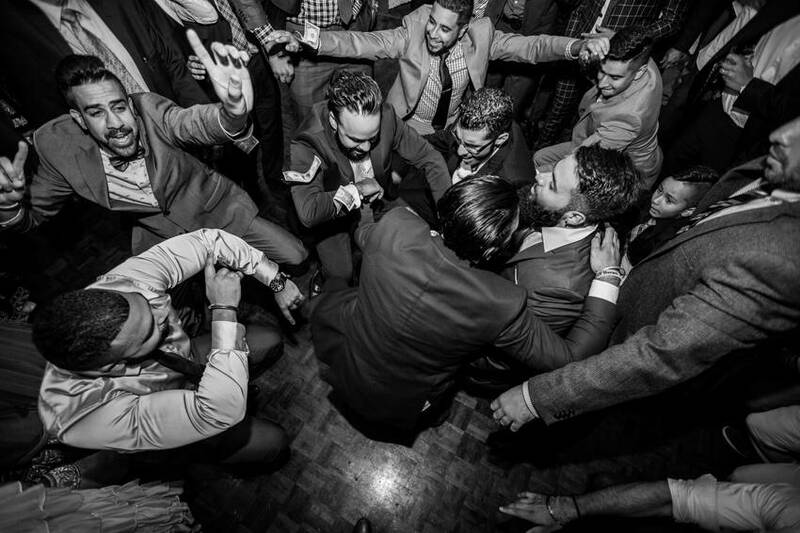 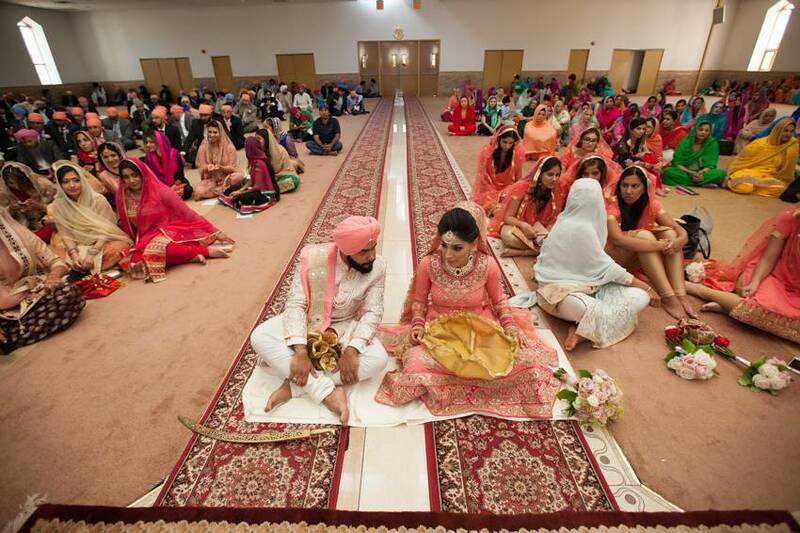 Every wedding ceremony is a unique in itself. 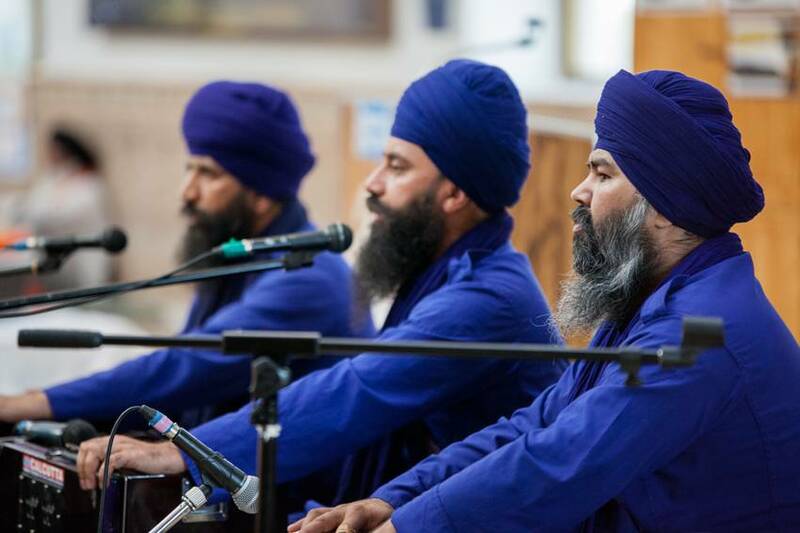 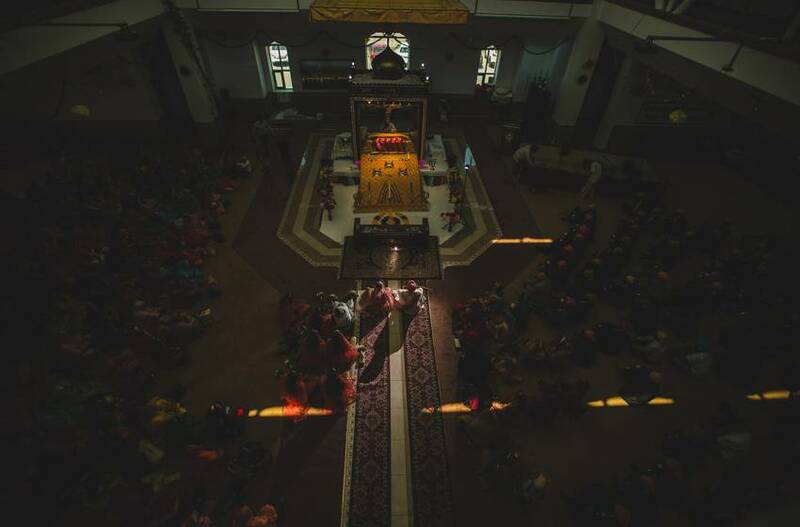 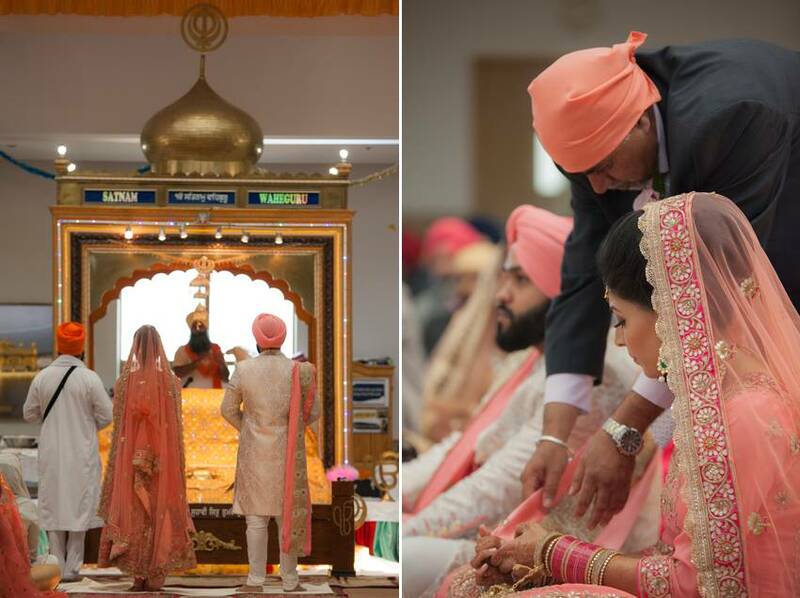 Here is yet another timeline of a Royal Sikh Ceremony that took place at Guru Nanak Darbar located in Lassala Montreal. 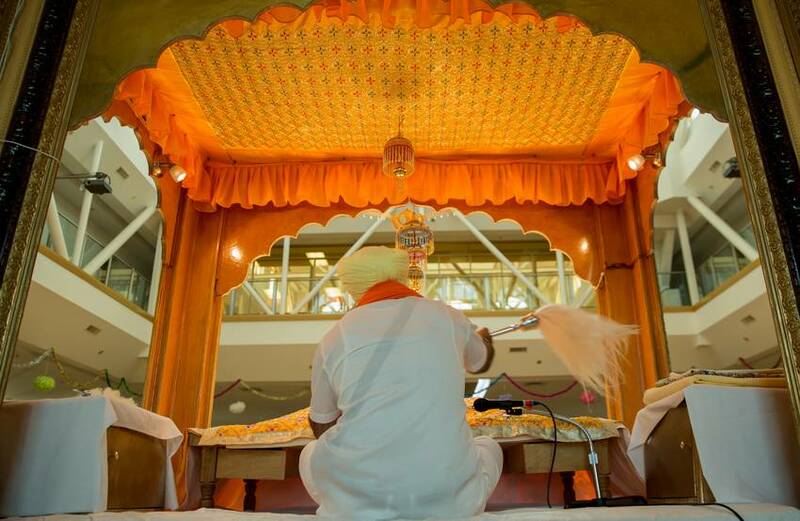 Guru Nanak Darbar is a true symbol of great Indian architecture. 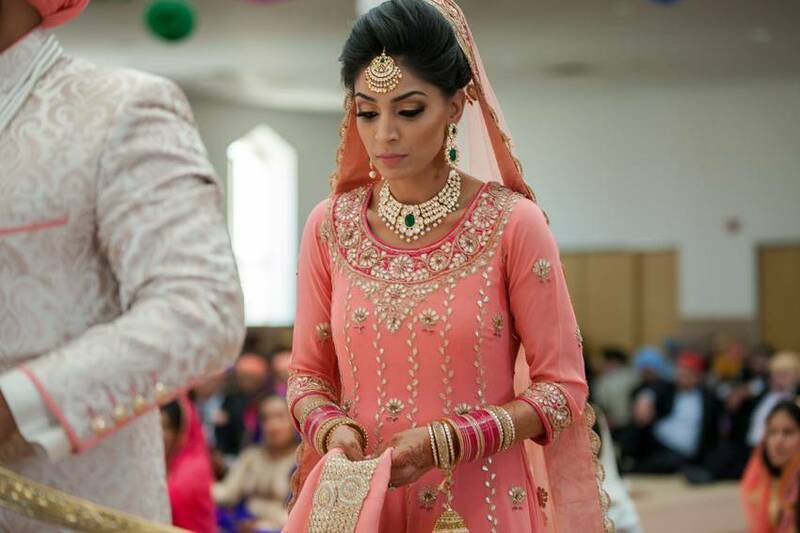 It has the right touch of gold and white, with tons of natural light. 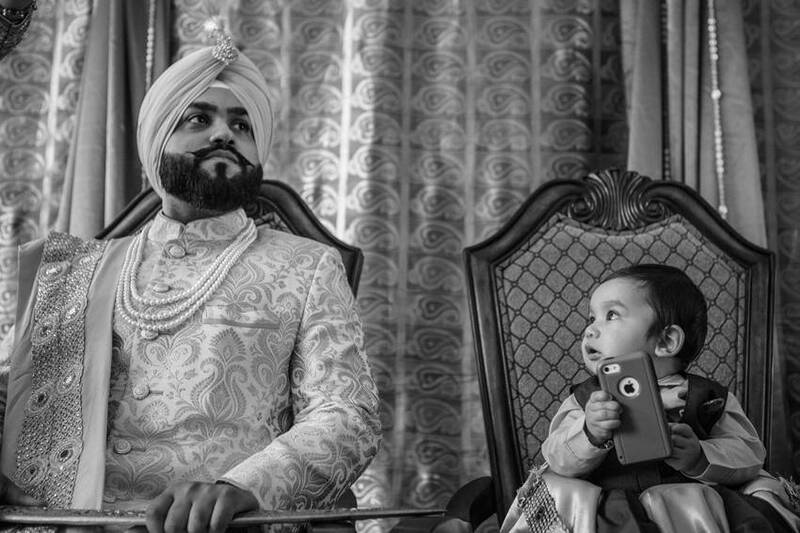 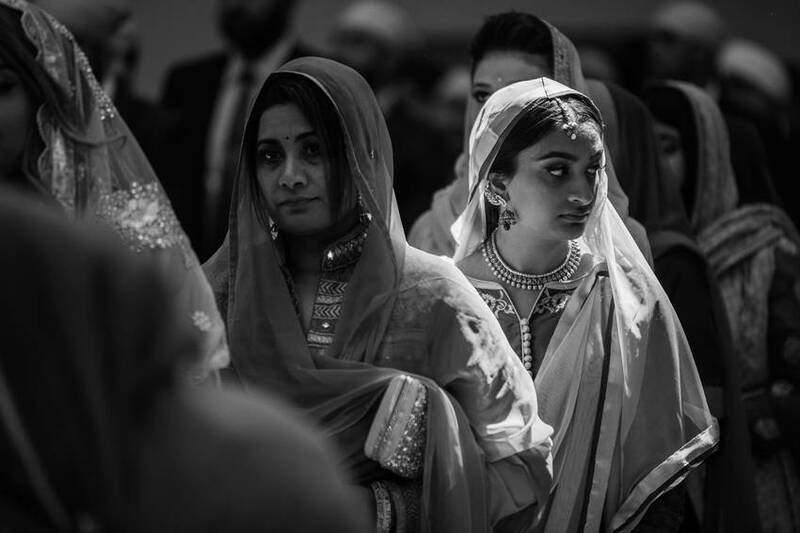 As a photographer, it is one of my favorite Sikh wedding locations. 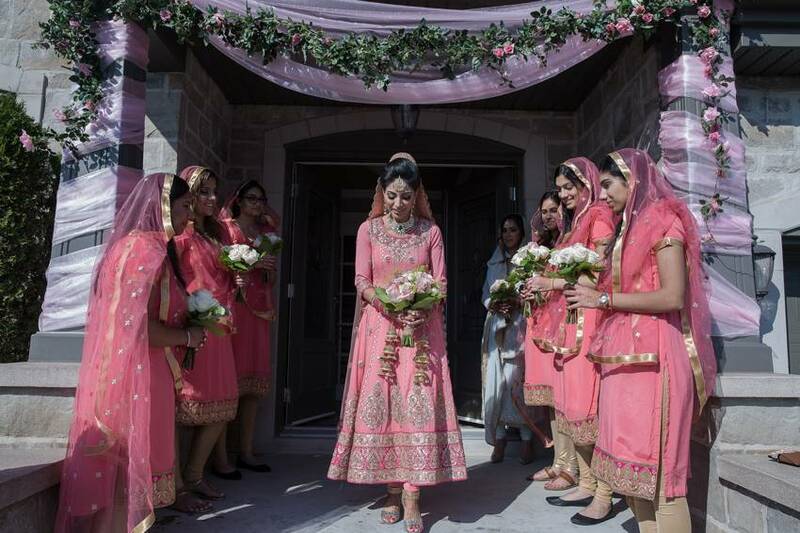 The day started with the bride heading to Amber Ethics and Spa. 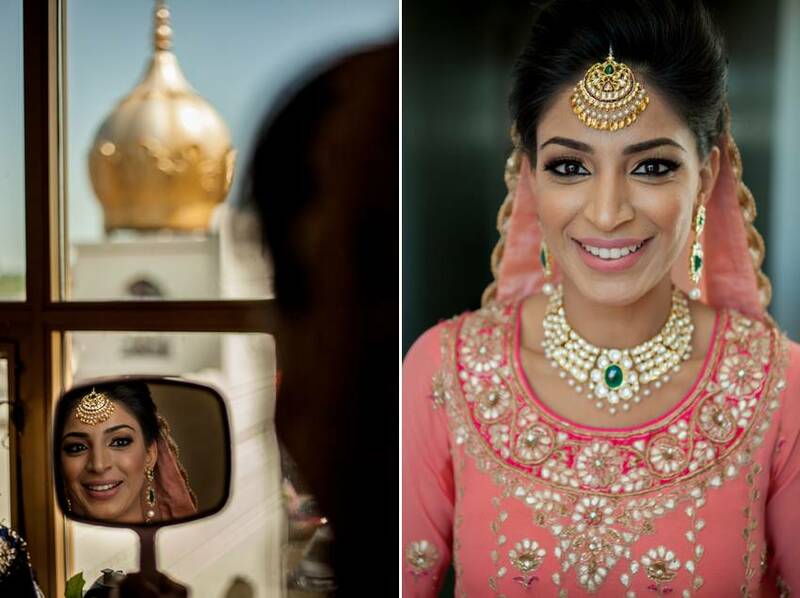 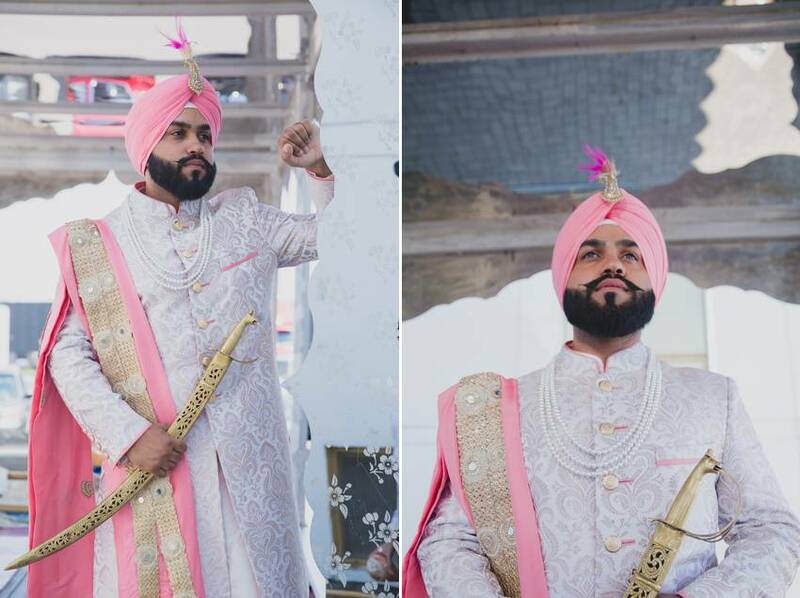 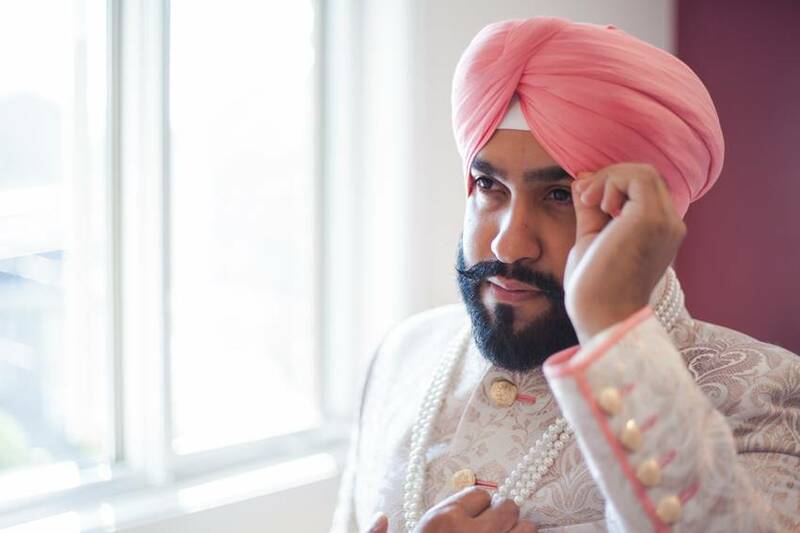 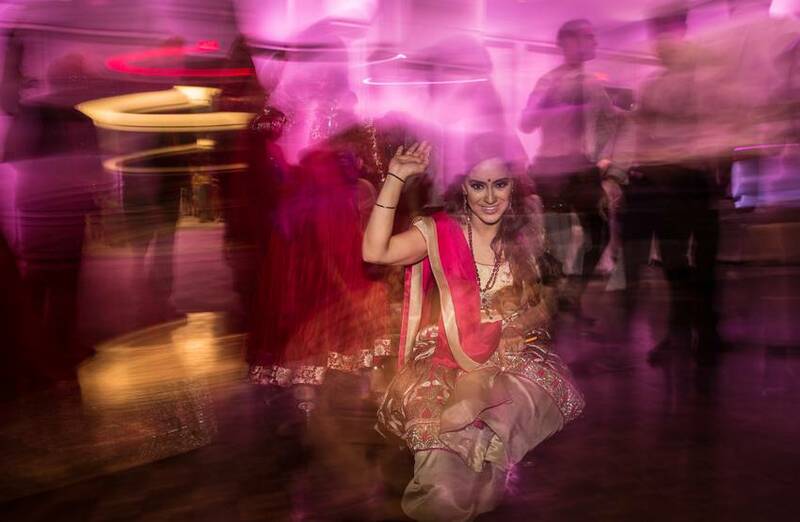 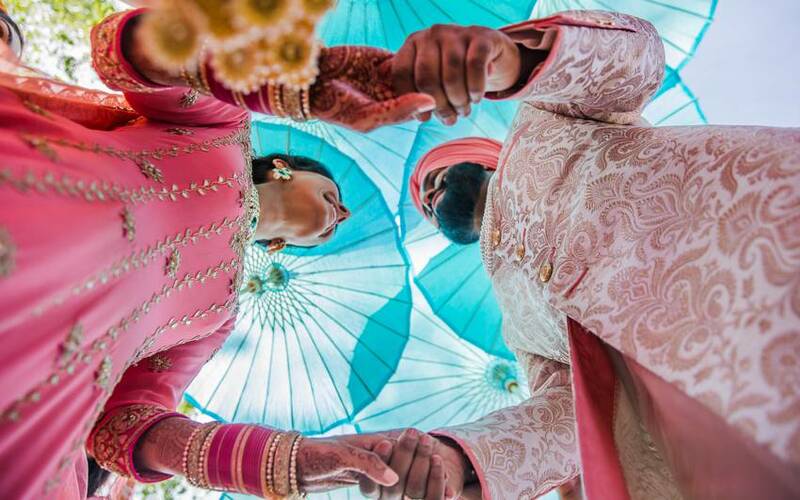 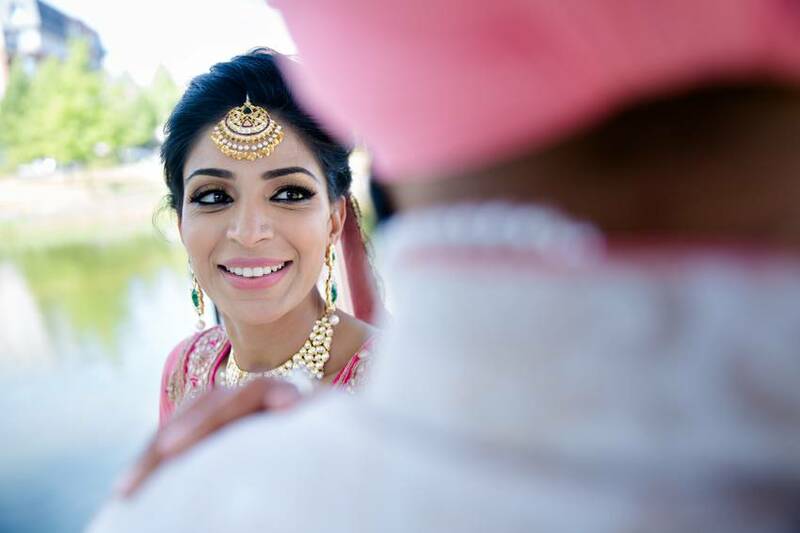 Ruby, the bride who is all about creative ideas had picked out pink Anarkali suit along with emerald jewelry.The groom, Amrinder wore a royal sherwani, with a pearl necklace and a peach turban. 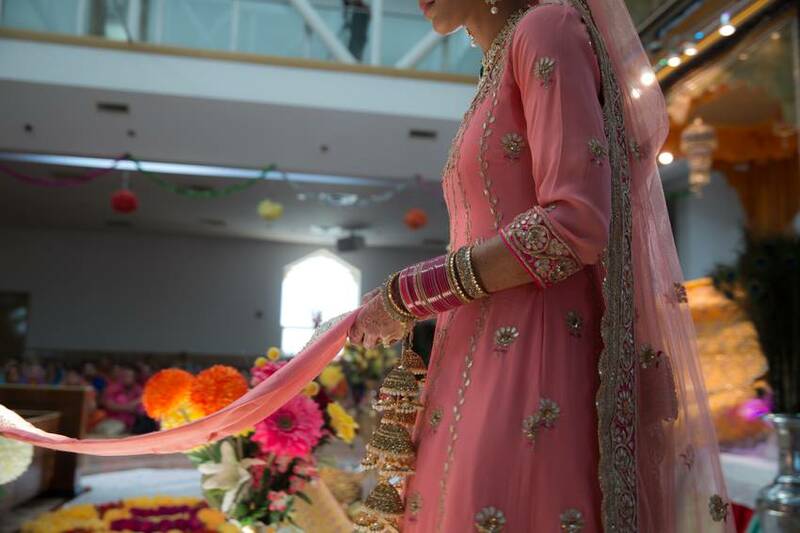 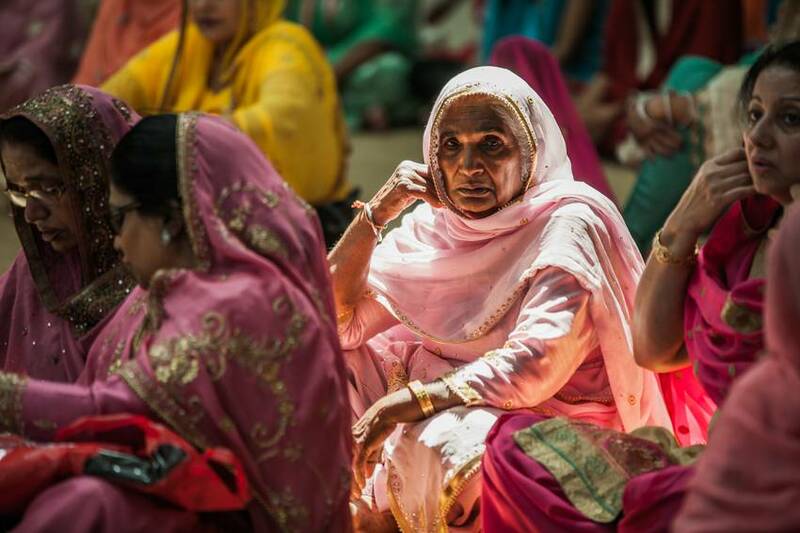 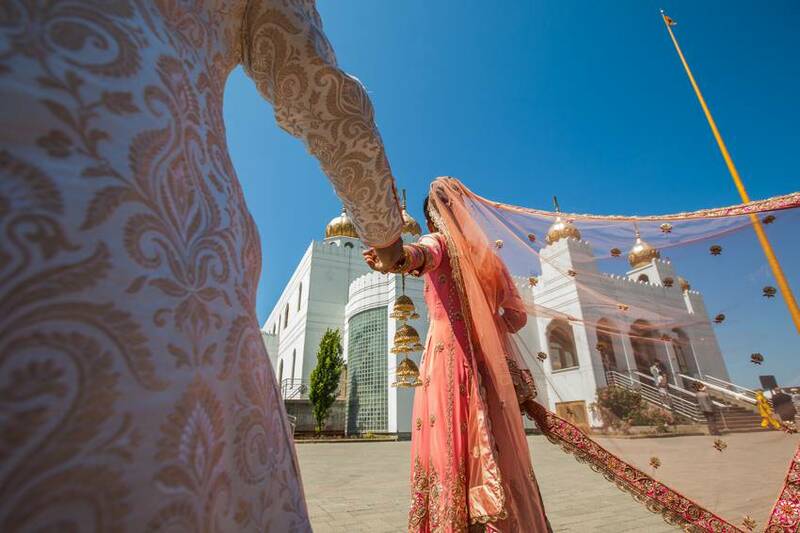 On getting ready, the couple headed to the Gurudwara sahib. 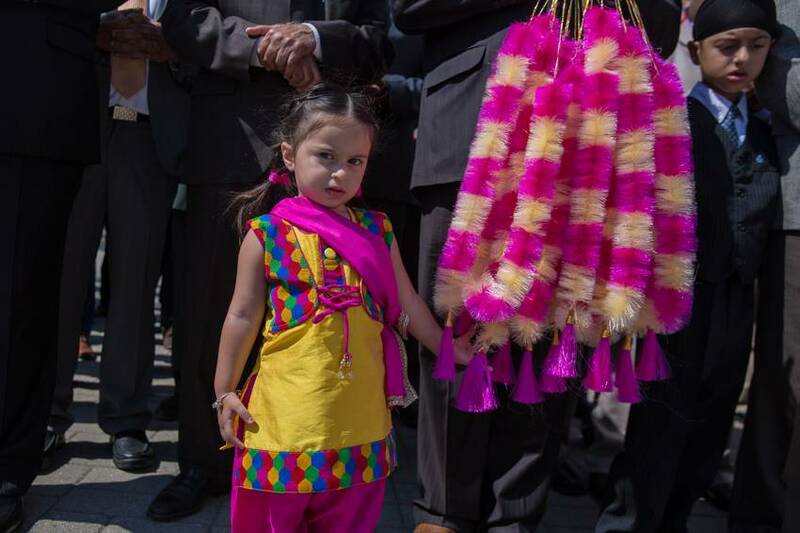 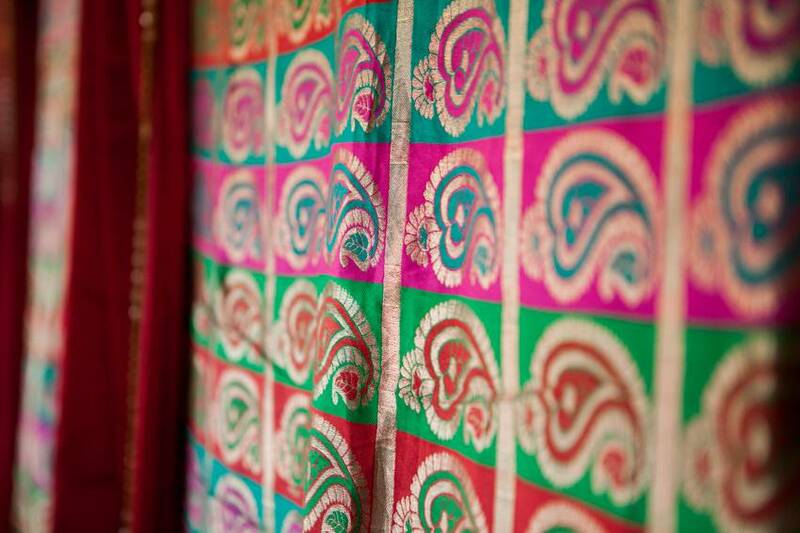 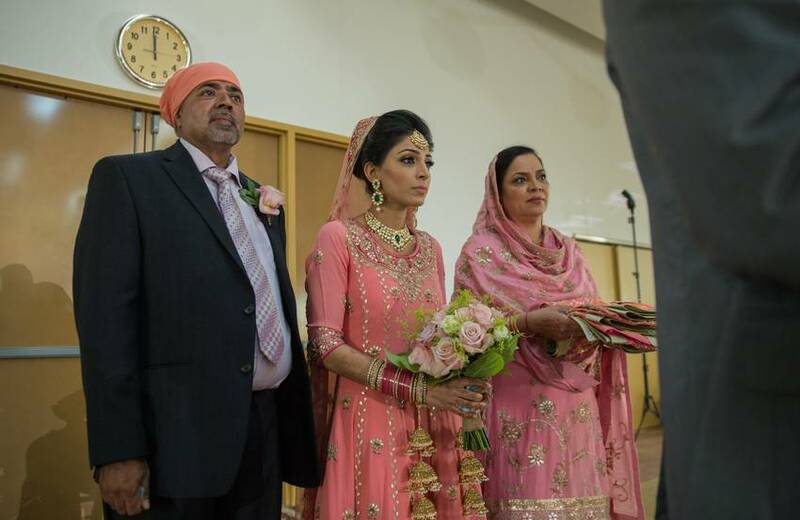 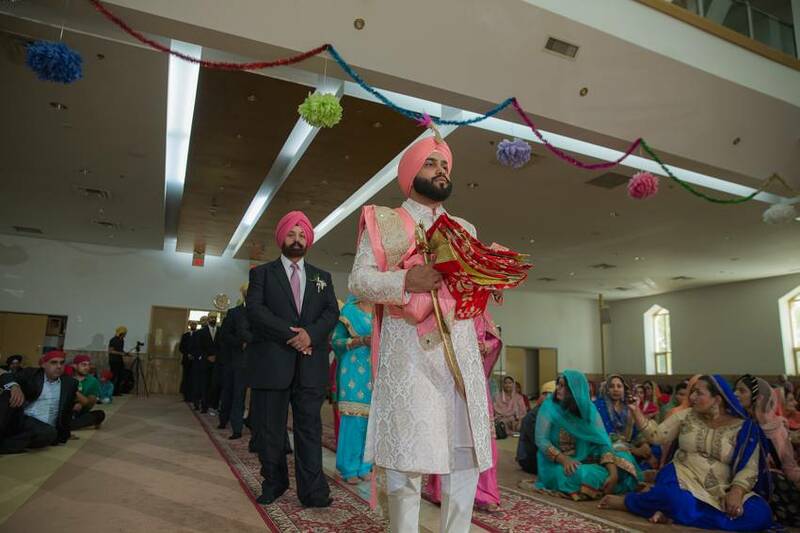 Wedding ritual began with the bride being walked down the aisle by her brothers and sisters. 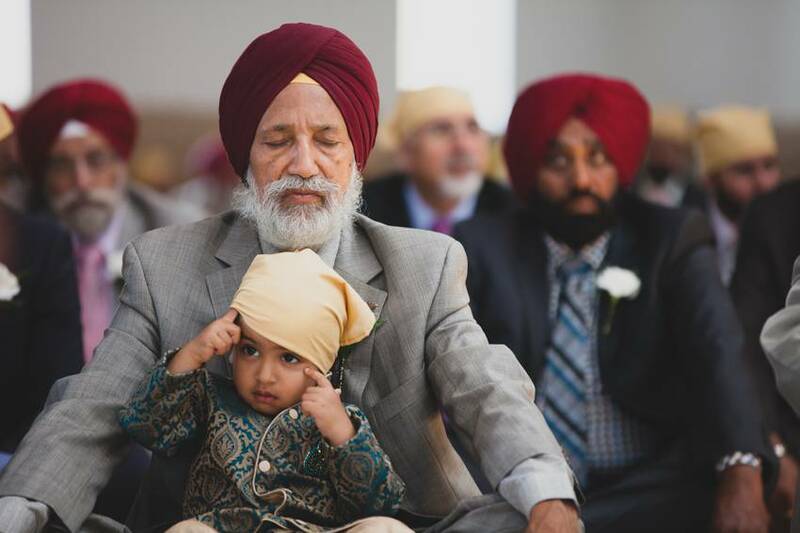 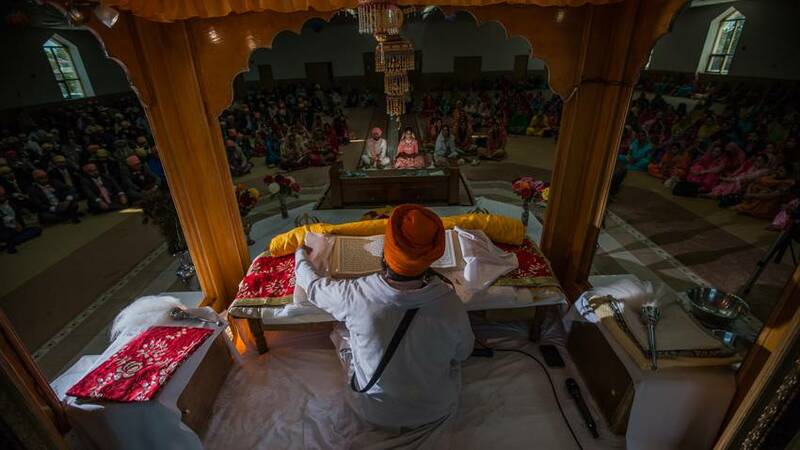 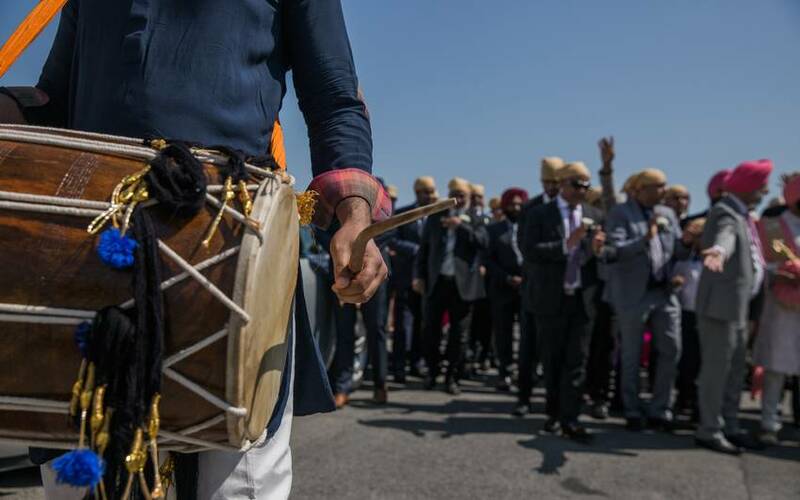 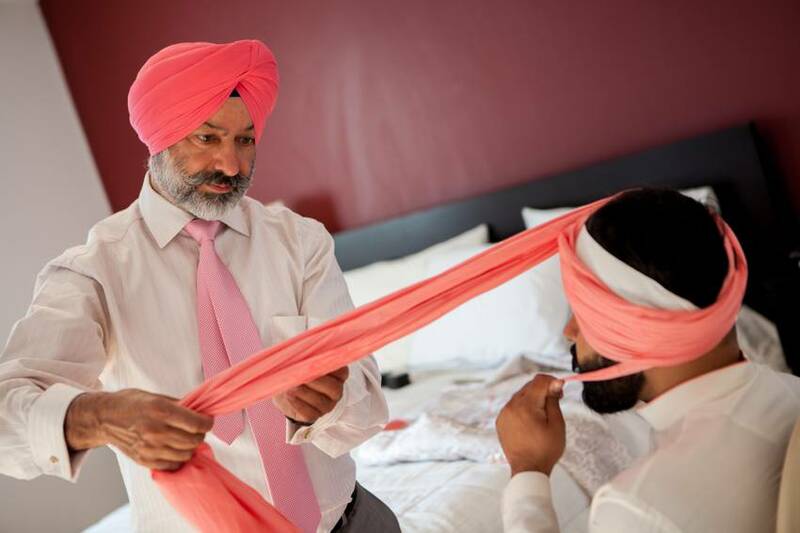 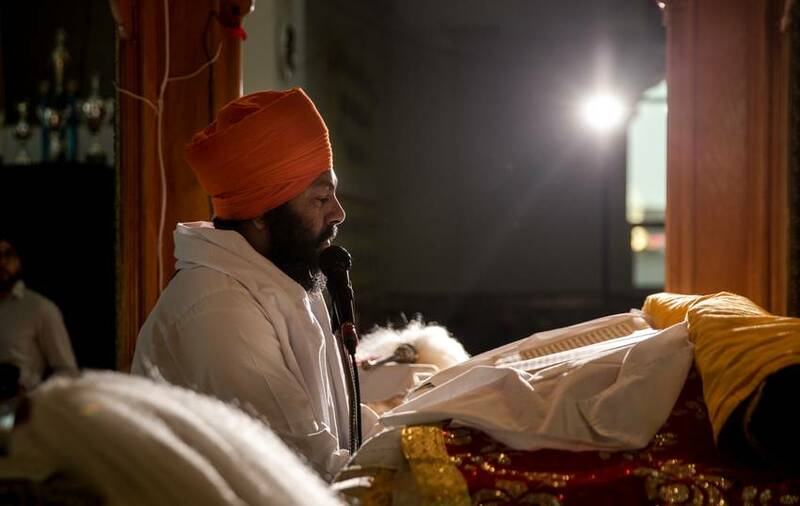 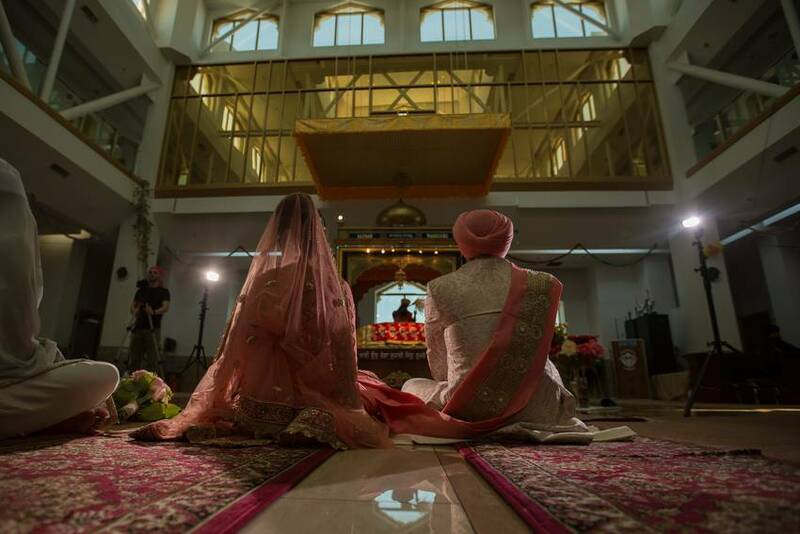 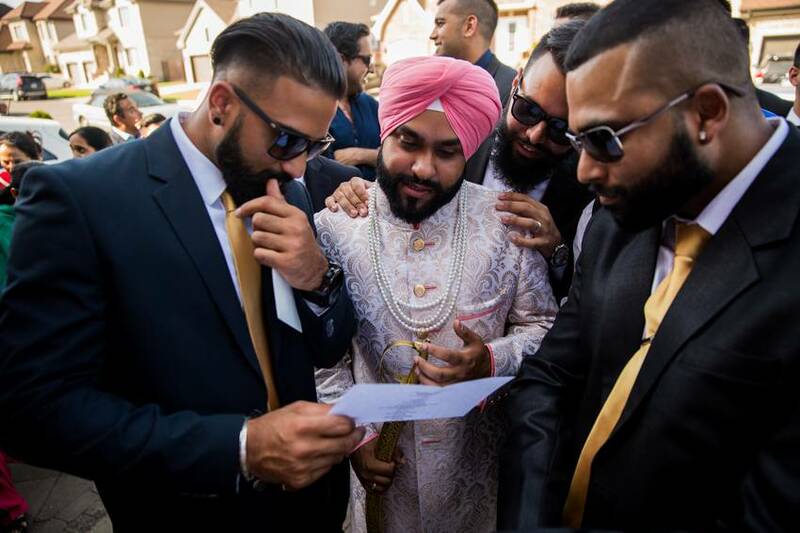 One of the most heartfelt moments in Sikh Weddings is Palla, (piece of cloth ) which is handed over by the bride’s father to the groom symbolizing their life long bond, this handed while verses from the holy book Guru Granth sahib are sung by the priest. 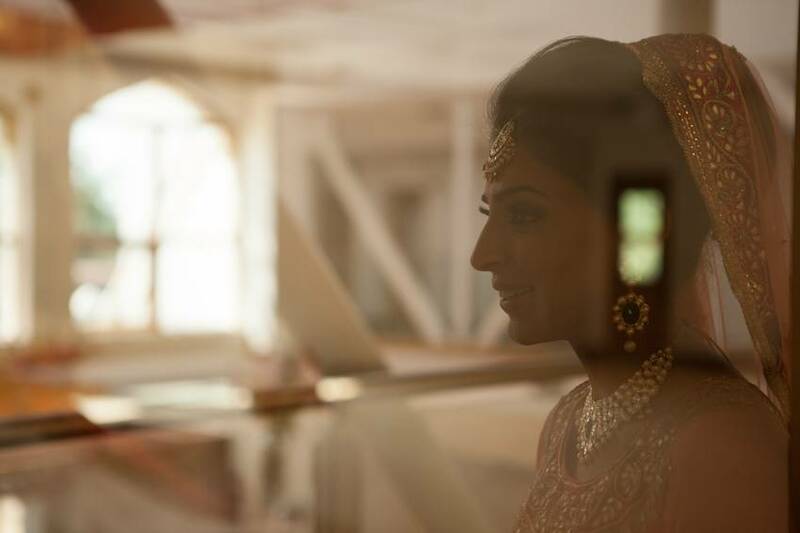 Ruby’s father had a surprise planned for her, there were two horses with the carriage waiting for her outside. 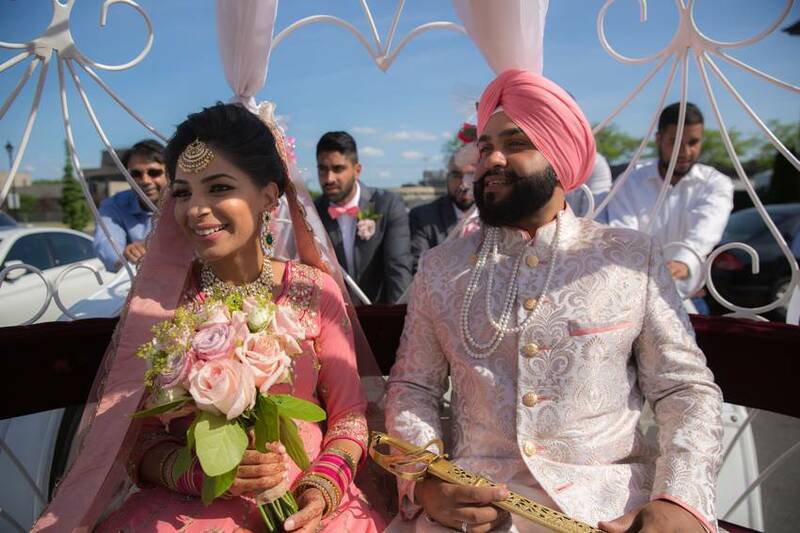 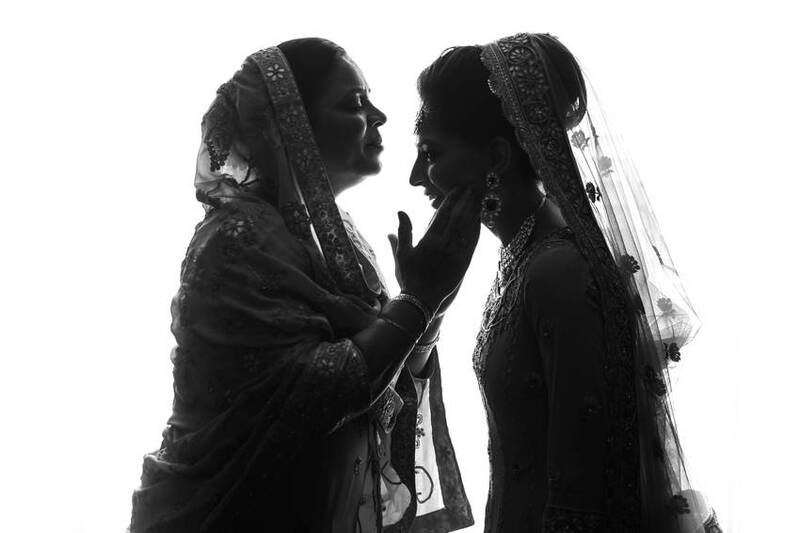 On the couple’s departure, family and friends celebrated and cherished the beautiful moments. 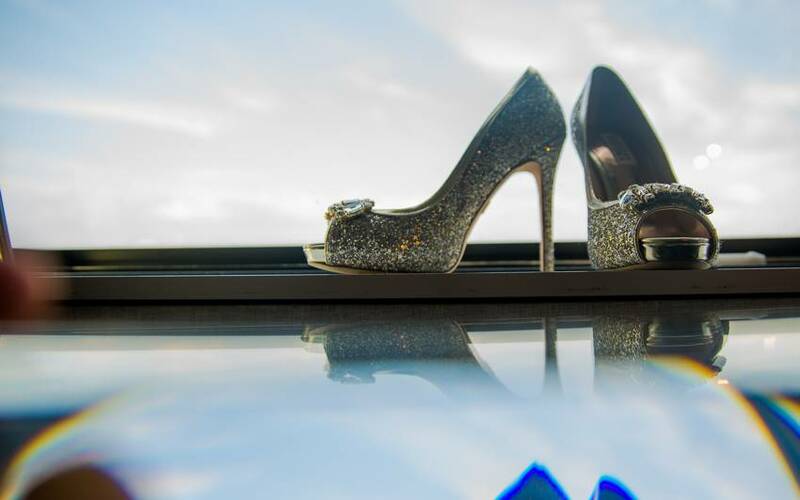 The next day, for reception party the bride and groom started getting ready at the Sheraton Hotel. 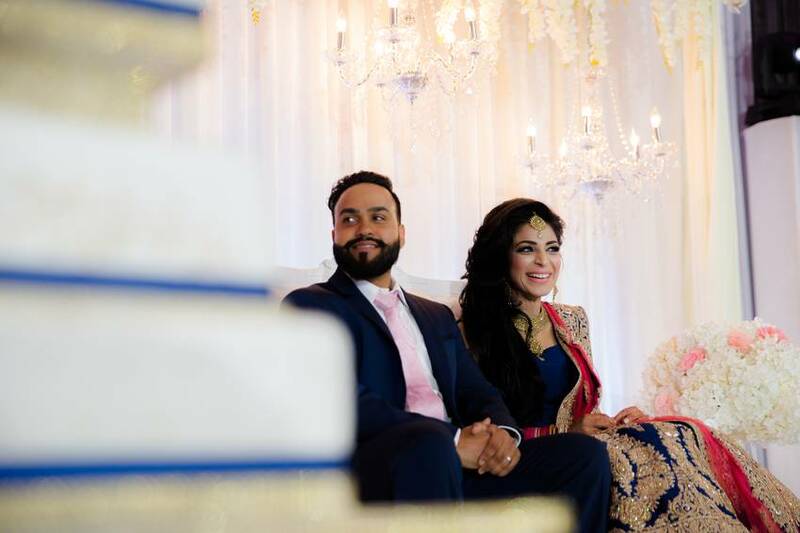 As food was being served for cocktail hour by Mantra Catering, we used this time to photograph the couple. 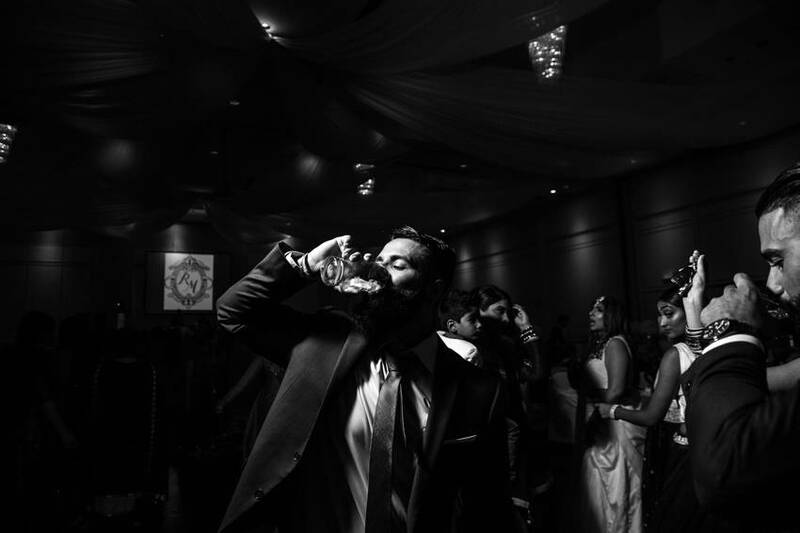 Chateau Royal Laval was the venue for the reception party. 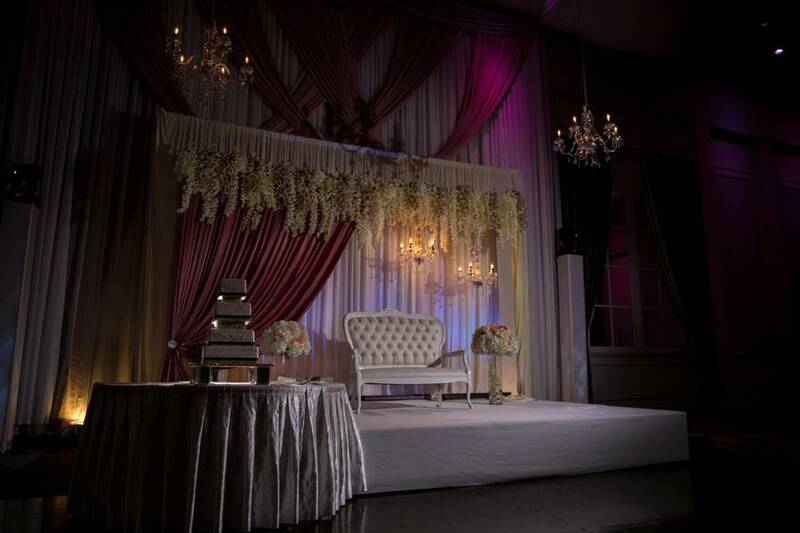 It is one of our favorite venues, as it has high-ceiling ballrooms, a grand entrance with ample space for parking. 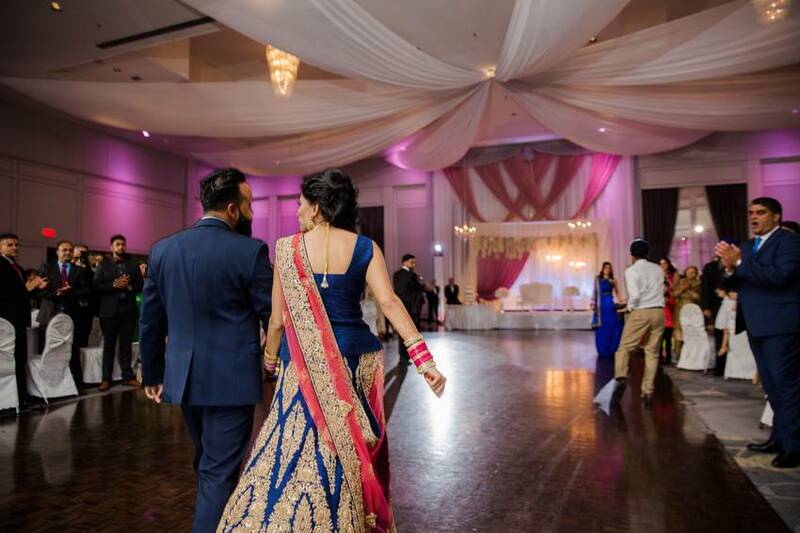 Bride and Groom got the party rolling as soon they walked into the hall. 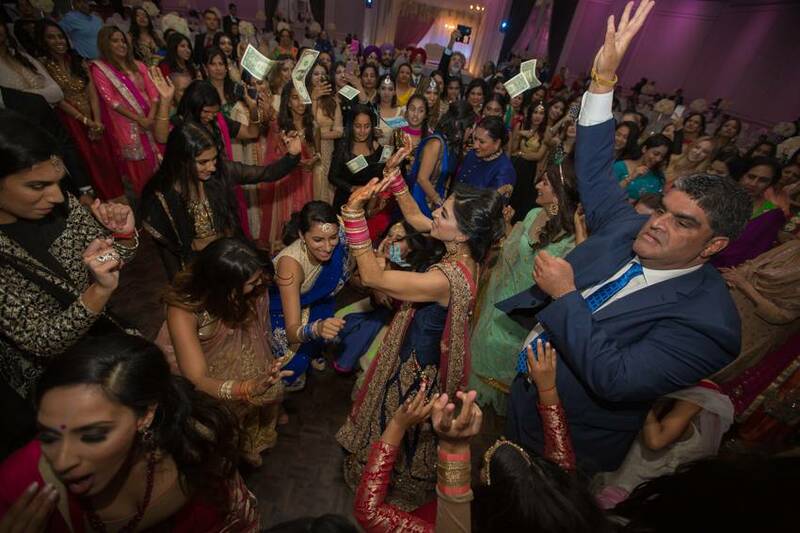 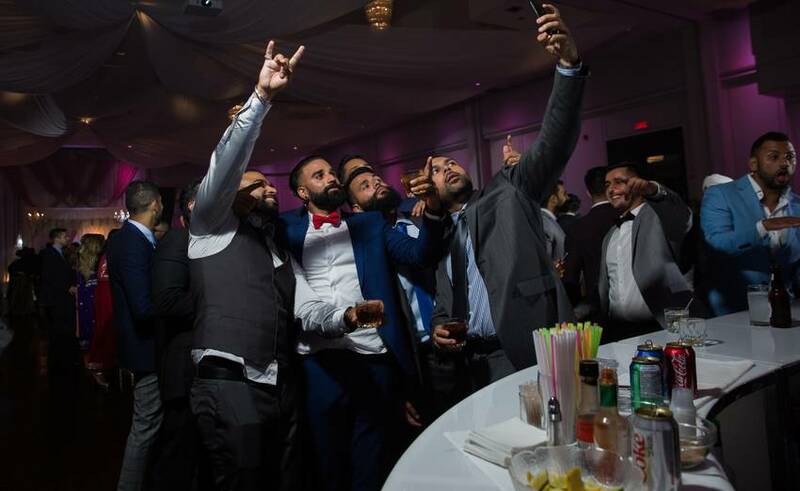 Brides brother was good at pumping the vent with his Emcee skills and DJ KSR (one of the top Punjabi DJ’s around the world was ready to get the party started. 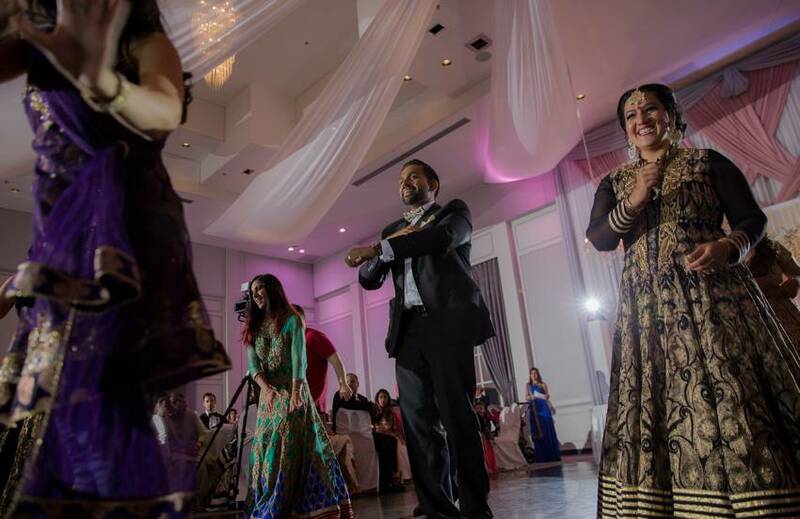 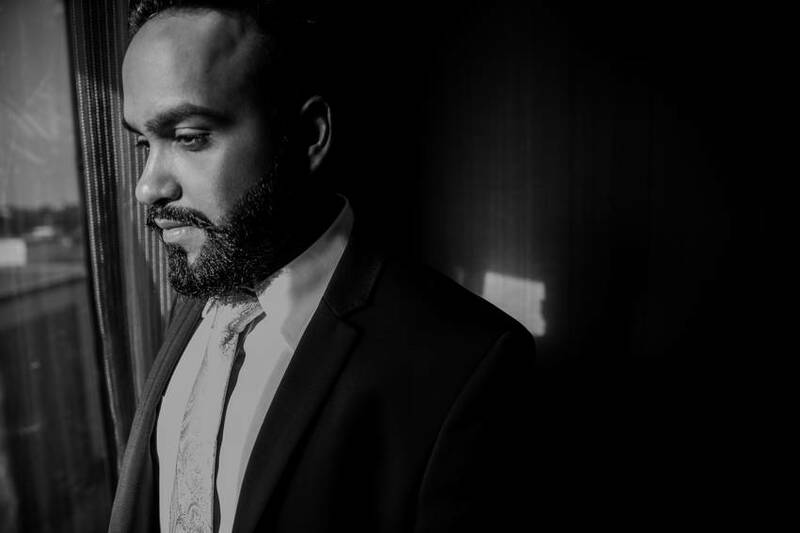 Family and friends made the most of Kuldeep Mix Singh’s dance face-off battles.